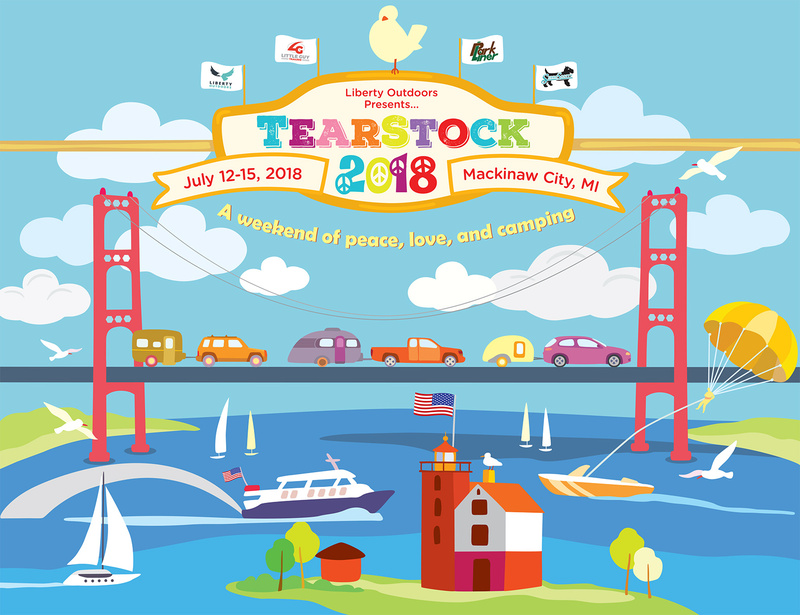 Tearstock – A Weekend of Peace, Love, and Camping! For many years, Tearstock has been the annual event that our friends look forward to the most. Every year, Tearstock is held at a different location to make it easier for new small trailer enthusiasts to attend. 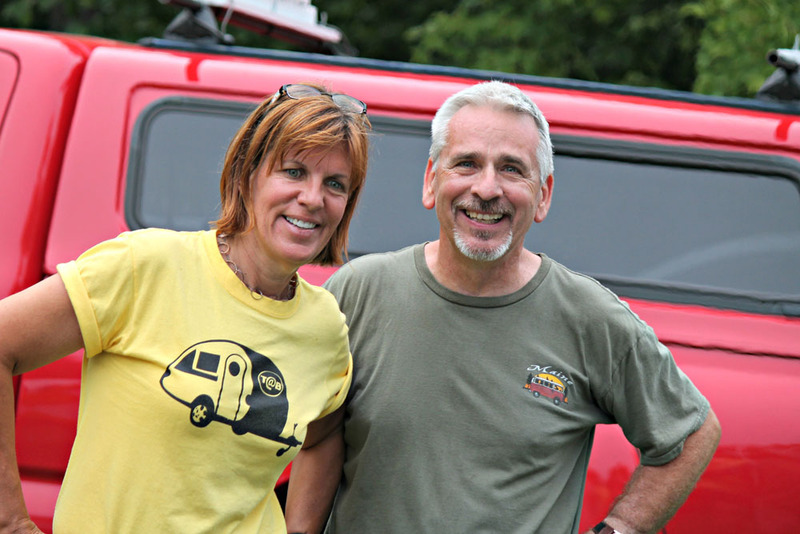 Each Tearstock includes camping, entertainment, door prizes, awesome food and socializing with new and old friends! Named the top tourist destination in the State of Michigan, Mackinaw City plays host to over 1.2 million visitors each year. 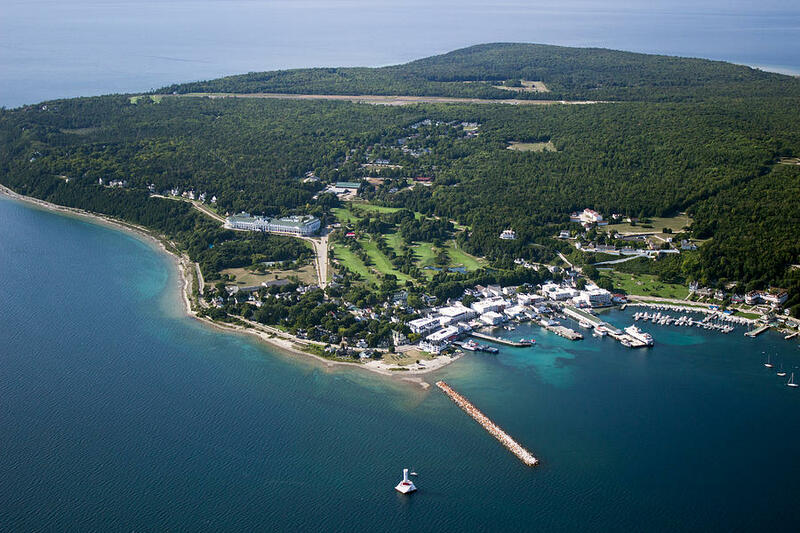 Visitors enjoy the village’s many exciting attractions, marinas, large number of hotels and other recreational facilities along the Straits of Mackinac. With beautiful scenic views of the Great Lakes and the Mackinac Bridge, Mackinaw City is a great place to live, work, and visit. 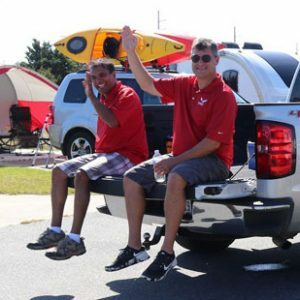 – Liberty Outdoors Co-Founders, Godfrey Mendes and Joe Kicos. All RV Types Are Welcome! Traditionally, Tearstock has been a rally for small trailer enthusiasts. 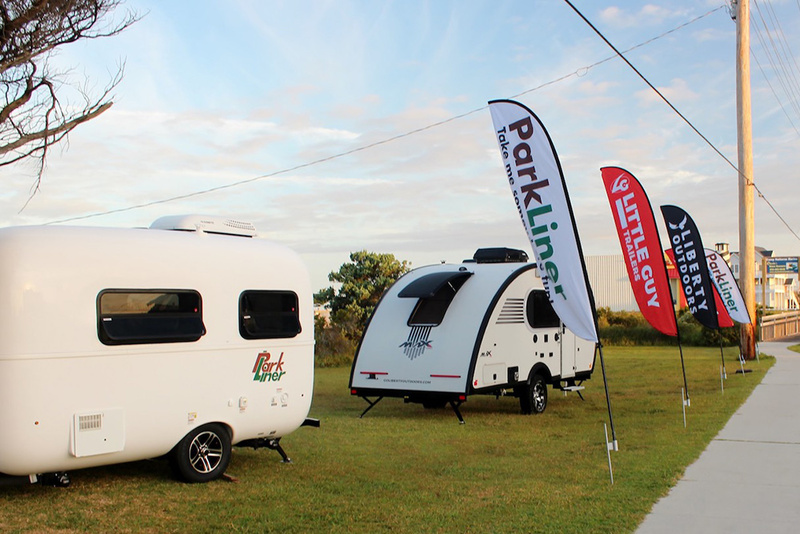 The “tear” in Tearstock is for “teardrop trailers” – the style of camper Little Guy Trailers is famous for. 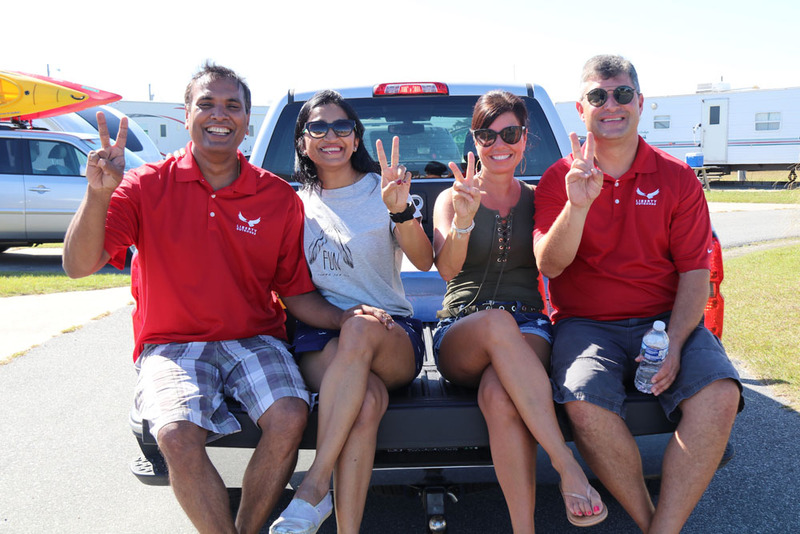 Over the years, Tearstock has expanded and evolved into a rally for all types of campers – and for folks who just want to hang out and have a fun weekend. All types of campers, and all types of people, are welcome! We have tons of great photos from the Tearstocks of years gone by. Check out our media page to get a feel for what a Tearstock rally is like. You’ll see that Tearstock has a fun atmosphere full of unique camper setups, lots of smiling faces, and great food.